The Place Saint-Michel in Sospel is a magnificent square featuring architecture from the Baroque and Roman periods. 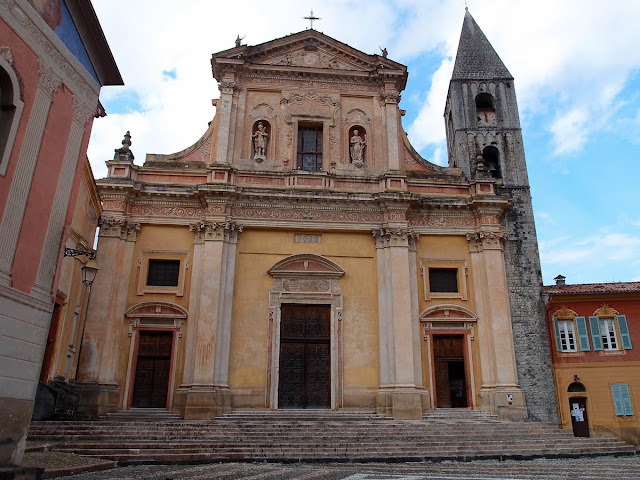 It's dominated by the Cathedral of Saint-Michel which was built between 1641-1762 and restored in 1888 . The Renaissance façade dates to 1641. The Bell Tower is Lombardy Romanesque from the XIIIth century. 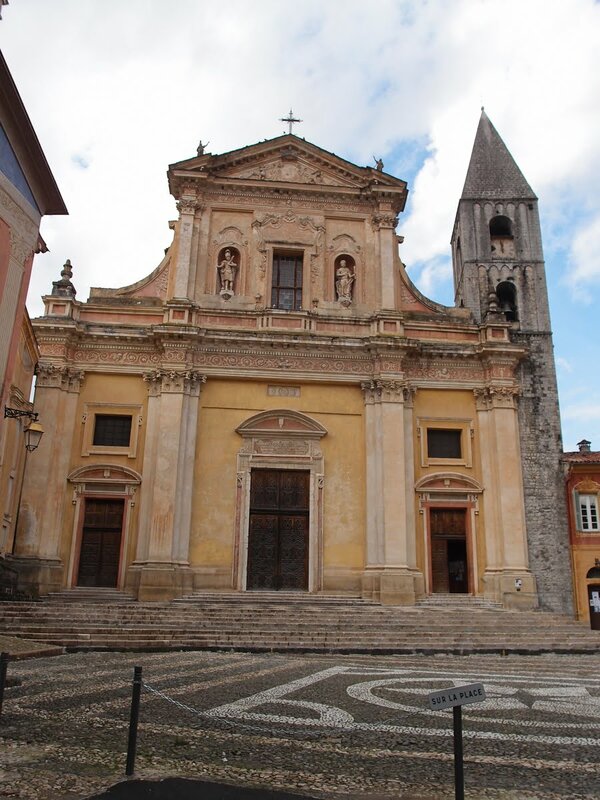 The square is paved with cobblestones made of white and grey pebbles - something we see often in front of churches here - for example in front of Menton's Basilica. La place Saint-Michel à Sospel est une magnifique place dont l'architecture date des périodes Romane et Baroque. Elle est dominée par la Cathédrale Saint-Michel qui a été construite entre 1641-1762 et restaurée en 1888. La façade Renaissance date de 1641 tandis que le clocher de style lombard roman est du XIIIe siècle. 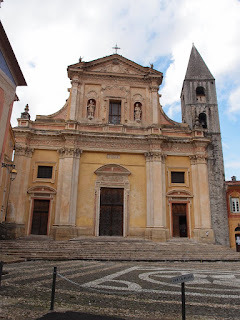 La place est pavée d'une calade de galets blancs et gris - une chose que nous voyons souvent devant des églises ici ,comme devant la Basilique de Menton. What a beautiful cathedral, Jilly. I have a soft spot for these structures. Every detail is so special. Also nice to be a piece of history richer .. thanks! It is exactly this that makes me miss living in Europe so much...that wonderful sense of history and ages past. Our European history here is so new in comparison. How sad that nothing is built like this any more. A stunning shot w/ foreground to sky.